Enjoy a warm bread bowl with soup while you craft! You will be able to choose from a Loaded Potato or Chicken Noodle soup ($5). A bottle of water will also be included. 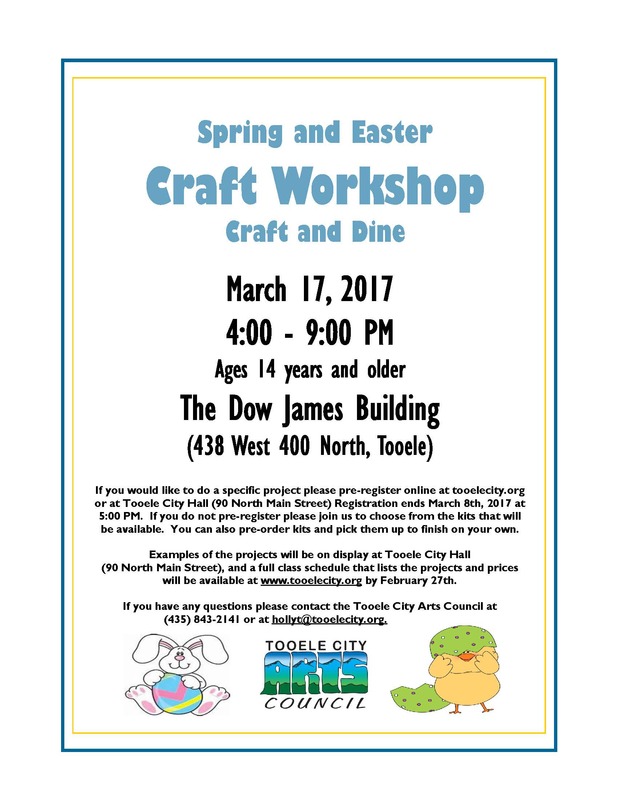 Join the Tooele City Arts Council for the 2017 Spring and Easter Craft Workshop on Friday, March 17, 2017 at the Dow James Building. For ages 14 years and older. Pre-registration is required. Registration ends Wednesday, March 8th at 5:00 p.m. You can also pre-register in person at Tooele City Hall, 90 North Main Street, Tooele.